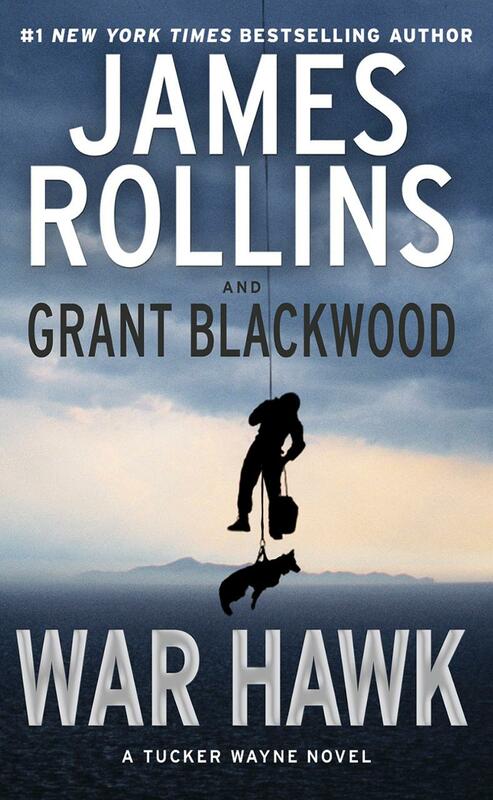 WAR HAWK by James Rollins and Grant Blackwood is a thrilling novel. This series is different than Rollins’ others in that it is more in the realm of complete believably and realism, with nothing far fetched. In creating a realistic relationship the beloved characters of working dog Kane and his handler Tucker Wayne are brought back to life. The plot begins when a former flame and army colleague, Jane Sabatello, asks Tucker for his help in finding those who want to kill her and have murdered her former co-workers. Through his investigation he finds that an evil corporate CEO, Pruitt, is behind these killings and a global conspiracy. He is using the knowledge of Alan Turing, the English code-breaker of the Nazis, to change the way modern warfare is fought. Jane, a former Intelligence Analyst with the 75th Rangers, is now working for the DIA (Defense Intelligence Agency). She fits in perfectly with Tucker and Kane, where readers can regard them as “The Three Musketeers,” or as Jane refers to them, “the old gang is back together.” She has a closeness to Kane and Tucker both personally and professionally. They can be regarded as kindred spirits, all are tough, no nonsense, with a moral code; yet are also secretive and operate in the shadows. Through Jane and Tucker, Rollins explored the issue of “moral injury,” a new form of PTSD. Both experienced serious inner conflicts because of a betrayal, which put them at odds with their ethical and moral beliefs. As with all Rollins’ books he explores the relationship between the partners, Kane, a Belgian Malinois, and Tucker. It is evident that they are really best friends with a very special bond. Both are willing to sacrifice their own life for each other. Anyone who is a dog lover will relate to their relationship. What makes it even more interesting is how Rollins writes what any dog owner does, putting thoughts of the canine into a humanistic form. The themes of the book are all centered around warfare. Using the springboard of Alan Turing’s work, the book explains how he laid the groundwork for the modern computer that led to drone warfare. Different aspects of warfare are examined, from insurrection to political coups, to the use of drones. Will the new generation of battlefields be digital? This information warfare, a digital house of cards, is three pronged: electronic jamming, infrastructure disruption through cyber attacks, and spreading misinformation by psychological operations. Beyond this is the consideration of who will control future drones, the military or corporations. WAR HAWK has a very intriguing story, including everything someone wants to know about drones, but was afraid to ask. The relationships between characters are very well developed. This is one of those novels that not only has a riveting plot, but is also informative and insightful with many different subject matters explored.